The highly-anticipated Boxing Day Test between Australia and India began today at the MCG in Melbourne. Virat Kohli won the toss and elected to bat first on a batsman-friendly pitch. Mayank Agarwal, who made his debut, was the top-performer for India on Day 1, with 76 runs to his name. Cheteshwar Pujara too scored a patient half-century while Virat Kohli remained not-out on 47. India finally ended the day on 215-2. 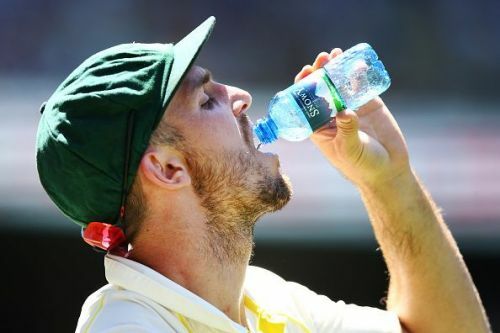 Apart from Mitchell Starc, who troubled the batsmen in the last session of the day, the Australian bowlers were not able to do much with the ball. Moving away from the India-Australia Test, Dale Steyn made history during South Africa's successful outing against Pakistan in the Boxing Day Test. Mitchell Marsh, who replaced Peter Handscomb in the playing XI for the Boxing Day Test, was booed by the MCG crowd when he came on to bowl during the first day's play of the Test against India. Travis Head, who spoke to the media after the end of the day, was clearly disappointed with what had happened. "I don't think it's great," Head said. "Obviously we've seen it with Kohli as well but for Mitch, who worked his bum off today, I thought he bowled exceptionally well. I thought he created pressure in tough conditions and fought really hard. I don't think any Australian cricketer in Australia deserves to be booed," he continued. Marsh bowled 15 overs during the day and gave away just 23 runs at an economy rate of less than 2. However, he has not picked up a single wicket yet.